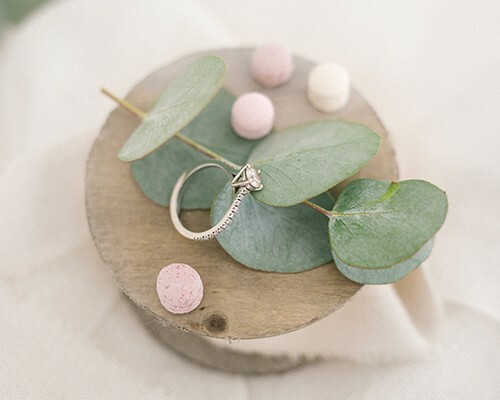 We want to expound some useful secrets for planning perfectly your GREAT DAY! We know how many doubts and uncertainties come during the period of preparing your wedding day, so read with attention that we are talking about, and understand why it’s important to contact someone who are the experience in this area! Would you think to fly an airplane without a pilot’s license? Even ifyou manage to take off, we are convinced that the fear, the indecision and the timing necessity to avoid the disastrous impact would ruin your great desire to fly! Then rely on us, who are the competence, keeping out the stress in long phone calls and mails, availing to the studio and the development of our projects, created by ourselves, in an explicit manner and simple, that will include the real feasibility of your dream, it’s fundamental. The accurate research for an adequate location; of an impeccable dress, made for you, that will reflect yourself; of a respectable catering that will satisfy the most demanding palates, and all those details that make the difference, for example the menus, the floral compositions, the invitations, the arrangement on the tables, by abolishing every little dullness, it’s known, it takes much time and… Time is expensive. Well, look on how many changes will you remake to create links between the material, suitable forms and colors forthis special occasion. Look upon the multitude of places and people that will you encounter until you will find a lucidly idea, that you wish in that day. Maybe, after the whole effort, you will realize that you haven’t found out what is right for you. Time doesn’t come back! For it exists an able Wedding Planner, that will get fast in your disposition a team of selected suppliers and the competitive costs, which guarantees a great job in the field. Will be in grade of directing the orchestra, we will suggest the innovative ideas that correspond with yours demands. The Wedding Planner doesn’t know unexpected events, but better, knows perfectly how to confront them! We have always “PLAN B” if “PLAN A” doesn’t function, because the climatic factors are unforeseeable or can appear another obstacle. The knowledge and the adeptness purchases take it to prevent and resolve every annoying contretemps without an awful risk. How to recognize a suitable Wedding Planner for you? The first point: The BLOG.Browse, navigate, pay attention at details and when you’ll find yourself in front of international publications, difficult to receive in this area; you will understand that you’re having to deal with a professional one! The images that you admire, will reflect your preference and manifest the character which you want to give to your wedding day. The details that you will be able to observe, furthermore, will make to understand if you are on the right way. Easy no? The second point: Face to Face with your Wedding Planner The first thing that must be done is to make an appointment on Skype and, if at a glance will be a pleasure feeling, you can find yourself. A competent professional will give confidence during the open dialogue; prove to be empathetic and helpful because you’ll spend a lot of time together. It must be able to reassure it, beyond of the quality of workers, the one of the generousness owns, and that can put in your disposition. The perception of his/her disposition. The perception of his/her problem-solving, the care and theattention regarding at his/her working calendar, in addition, will be elements of great prominence for comprehend if you meet the right person. At last, fill your eyes, of all the works, you carried out. And if you have some sensation that hasn’t done yet with seriousness, but just made from heart and with passion, the unique ingredients for obtain the perfection, well you have found it.